In a bid to check the increasing air pollution in the Bihar capital, the government has banned 15-year-old diesel vehicles from the roads from Wednesday. 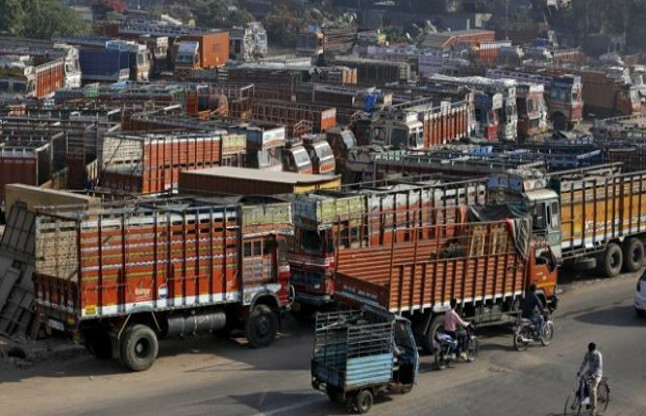 “We have banned 15-year-old diesel vehicles from the roads from June 15 as announced by the state government to control air pollution,” district transport official Surender Jha said. Last year, the state government had announced it will ban 15-year-old diesel vehicles in Patna in 2016. Police have started a lookout operation to identify such vehicles plying despite the ban. The decision follows an advisory issued by the Bihar State Pollution Control Board (BSPCB) that said air quality in Patna was ‘very poor’ on 20 days and ‘severe’ on nine days of November 2015. The decision to ban the plying of 15-year-old diesel vehicles was taken during a review meeting of the environment department chaired by Chief Minister Nitish Kumar. The state transport authority had proposed banning of old diesel-run vehicles as far back as October 2013, but the measure could not be implemented then. Nitish Kumar also instructed the government agencies to draw up a plan to control pollution and told officials to curb burning of plastic and solid waste in the open. According to the latest reports, Patna’s air quality index (AQI) is ‘very poor’. Air quality in Patna has deteriorated due to high levels of tiny particulate matter, which is bad for the health, experts pointed that. Dust, vehicular emissions, burning of waste in the open, brick kilns and construction activities are the factors contributing to the alarming level of air pollution. A World Health Organisation (WHO) survey, published in May 2014, put Patna behind Delhi in terms of severity of air pollution based on particulate matter in ambient air. The Central Pollution Control Board (CPCB) has listed Patna as a ‘non-attainment city’ with PM-10 and PM-2.5 levels persistently exceeding the national ambient air quality standard.